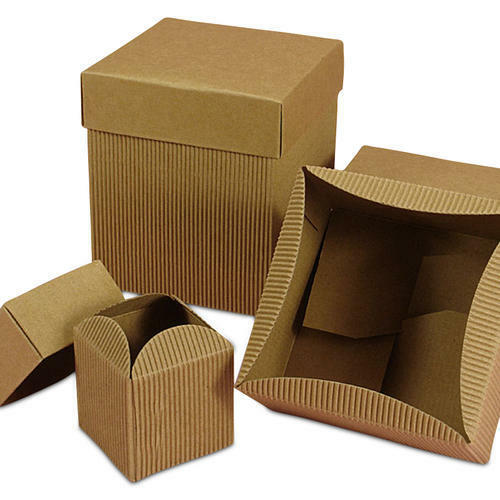 Established in the year 2017, we “Khamalai Packaging” are a prominent firm that is engaged in manufacturing a wide range of Corrugated Box, Fruit Packaging Box, etc. Located in Ahmedabad (Gujarat, India), we are Partnership firm and manufacture the offered products as per the set industry norms. We have designed and developed customized packaging solutions specifically for the requirements of various industries to prevent from transit damages like breakages, scratches, dents, abrasions and corrosion. Under the headship of “Mr. Nimeshbhai” (Partner), we have gained a remarkable and strong position in the market. Our well-appointed team of professionals adhere to the industry laid norms as well as standards, and guarantee timely delivery, fair price, and transparent business approach. We believe packaging helps to extend Shelf Life, Monitor Freshness, and Display Information on Quality, Improve Safety and Enhance Convenience of the products to be packed. Our engineers and quality experts ensure that the products meet highest standards of quality. We perform various quality tests and experimentation at regular intervals, so that more cost-effective products can be delivered. For the flawless production of our range, we have installed various facilities including oiled production unit fitted with modern machine. Our products are delivered within and outside the country, through our wide distribution channel. For us, Packaging is the Science, Art, and Technology of Enclosing or Protecting Products for Distribution, Storage, Sale, and Use. We can offer Physical Protection, Barrier Protection, Containment or Agglomeration, Information Transmission, Marketing, Security, Convenience and Portion Control through our innovative Packaging System.